I wrote iOS first. 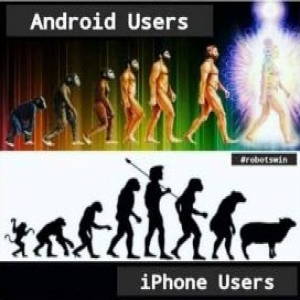 Then Android. Then iOS had an update, which broke it! I was tired of paying the $99 Apple Developer fee, so I've got 2 phones in my pocket - the Samsung Android pretty much just for my App! And an Android tablet for a bigger version of my App. Apple App Store initially rejected my iOS App, but when I complained, they said all I needed to do was fix the line-lengths of some text fields. But I was busy. My Android App has been on Google Play and Amazon Apps since at least 2013. No, I don't make a lot of money, because it is paid, not ad supported. Google has been complaining about this and that, e.g. privacy statement, that have evolved over the years. So I would like to bring it current/compliant. I don't have time, nor focus to do Eclipse and and Apple (still Xcode?). It is a very simple App, using 2 or 3 screens from here: Menu and Map. I opted to go the route of delivering the App as framework, then "updates" are just the .js statements as "data" that create everything. I read about that method here! I don't do in-App ads, but I know I should. So I'd like that added. Compliant, up-to-date Menu, up-to-date Map, Ads. No feature up-sells. I have hosting accounts on 3 servers, that can run PHP 5.6 thru 7.1. <a href="http://" target="_blank" rel="nofollow">http://</a> and <a href="https://" target="_blank" rel="nofollow">https://</a> all in place. Screen Caps are at <a href="http://10kapps.com/" target="_blank" rel="nofollow">http://10kapps.com/</a> > Apps. With the "Menu" screen I got here, the menu structure is built on-the-fly based on the "data": Region>Country>City>Category> Then the Map with pins... or fewer > Items >... Think of each Item as a Column in Excel. Can have as many or as few Columns as need be. The "data" drives the Menu! I have that part done, and I assume I can continue to use that .js code created by my PHP code - with hopefully few changes (based on the requirements of the current Menu and Map screens). I just need the compliant framework. And I can clean-up the text line-lengths Apple was complaining about. I have some PayPal funds. I just do not have the focus for this at present. If you like the simplicity of the App, and the method that I developed that creates the data that drives the App, you certainly could create a cottage industry of your own with it. I love travel, and I love Maps... and Maps on phones and tablets. Don't know if I need my App on my Apple Watch!! Also, for the past year or so, I have been using Google Sheets as a data editing and storage method. And have made some fine catalog websites that get its data from Google Sheets, rather than SQL. Including Bootstrap sites. Like the demo site above. Thank You in advance. I have my email settings such that I will be notified to responses here and PM. 6+ years ago, I was visiting Berlin, and discovered BuzzTouch. I was in need of way to put a short list of tourist places on a live Map, that I could carry with me, and see the "blue dot" while walking or riding on the bus/tram/train. Rightly or wrongly, I came upon Apps and BuzzTouch, and have been very pleased that I have been using the App I wrote 6 years ago, to this very day! (Well "yesterday"!... I knew where I was going today!) I wrote iOS first. Then Android. Then iOS had an update, which broke it! I was tired of paying the $99 Apple Developer fee, so I've got 2 phones in my pocket - the Samsung Android pretty much just for my App! And an Android tablet for a bigger version of my App. Apple App Store initially rejected my iOS App, but when I complained, they said all I needed to do was fix the line-lengths of some text fields. But I was busy. My Android App has been on Google Play and Amazon Apps since at least 2013. No, I don't make a lot of money, because it is paid, not ad supported. Google has been complaining about this and that, e.g. privacy statement, that have evolved over the years. So I would like to bring it current/compliant. I don't have time, nor focus to do Eclipse and and Apple (still Xcode?). It is a very simple App, using 2 or 3 screens from here: Menu and Map. I opted to go the route of delivering the App as framework, then "updates" are just the .js statements as "data" that create everything. I read about that method here! 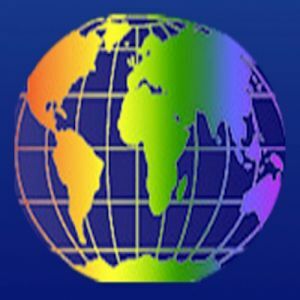 The App is a "Very Safe For Work" tourist App, that puts a text list of LGBT tourist sights as Pins on a live Map, on the device in hand. Actually there are 12 versions of the App - one for each related Tourist travel area in the world, to keep it on the smaller size. e.g. US regions, UK, EU Schengen, Canada, Central Am, South Am... the Asias, Oceania... I don't do in-App ads, but I know I should. So I'd like that added. Compliant, up-to-date Menu, up-to-date Map, Ads. No feature up-sells. I have hosting accounts on 3 servers, that can run PHP 5.6 thru 7.1. <a href="http://" target="_blank" rel="nofollow">http://</a> and <a href="https://" target="_blank" rel="nofollow">https://</a> all in place. (Plus I have a version of the App just for me, and places I like to visit, unrelated to the data sets of the other App!) Screen Caps are at <a href="http://10kapps.com/" target="_blank" rel="nofollow">http://10kapps.com/</a> > Apps. With the "Menu" screen I got here, the menu structure is built on-the-fly based on the "data": Region>Country>City>Category> Then the Map with pins... or fewer > Items >... Think of each Item as a Column in Excel. Can have as many or as few Columns as need be. The "data" drives the Menu! I have that part done, and I assume I can continue to use that .js code created by my PHP code - with hopefully few changes (based on the requirements of the current Menu and Map screens). I just need the compliant framework. And I can clean-up the text line-lengths Apple was complaining about. I have some PayPal funds. I just do not have the focus for this at present. If you like the simplicity of the App, and the method that I developed that creates the data that drives the App, you certainly could create a cottage industry of your own with it. I love travel, and I love Maps... and Maps on phones and tablets. Don't know if I need my App on my Apple Watch!! All inquiries welcomed. Also, for the past year or so, I have been using Google Sheets as a data editing and storage method. And have made some fine catalog websites that get its data from Google Sheets, rather than SQL. Including Bootstrap sites. Like the demo site above. Thank You in advance. I have my email settings such that I will be notified to responses here and PM. So I just need to update the .apk for the current standards Google Play Store Apps is looking for... and the iOS Xcode package Apple is looking for. And add Ads. Read through the User Data policy and Personal and Sensitive Information article and make the necessary changes to your app. Since I am only using the BT Map Plugin, I assume this has to do with User's GPS location. Dusko was always my favorite android guy. It is nice to see you here after all these years! Otherwise, I feel like I'm walking in a ghost town! It is nice to see you here after all these years! Otherwise, I feel like I'm walking in a ghost town! Great to see you again. There are at least a few of us still around! I'd be interested in knowing more about the cottage industry that you have in mind. You can PM me, if you wish or hop over to appsbay.co.uk and contact me there. I'm just off on holiday so please forgive me if I don't respond for a while. I just spent a few weeks in Birmingham... before moving down to Cardiff. Then my Visa days ran out, and I came over to Prague, in Schengen, where I have 90 more days! Good to see folks on this thread! When I started here in 2012, I was met at the door by a couple of people with Flame Throwers in hand. I didn't stay all that long after I got my App (iOS and Android builds) built, due to the former. I've hired a couple of people on FreeLancer to do some things for me... things that would have taken me longer with the learning curve than I wanted to wait. I'm worried about needing to go that route in my case, as BuzzTouch made many things very simple. It's not that I can't do the update by myself, it's about time and learning. There's still a few people hanging around here, the responses are fewer and slower than when you were here before, so hold on and you may get lucky. Definitely worth trying Dusko if not tried already. Half of my Ancestors came from Anglesey... I visited in person last Summer, one Saturday afternoon. It was so what I expected! And very beautiful. Half of my Ancestors came from Anglesey... I visited in person last Summer, one Saturday afternoon. It was so what I expected! And very beautiful. Higgey - Nice one! Hoping to pop across next spring. Berwick is a great little place. Rather than having mutliple apps for each destination which would all need continual updating, have just the one core app but add in-app purchasing so that just the datasets are purchased and downloaded into app as required. This would provide a more efficient way of updating app and building a limitless array of destinational info. Hi TravelMap, Just an idea if you are looking to get someone to update and modify your app (and maybe make more $); Rather than having mutliple apps for each destination which would all need continual updating, have just the one core app but add in-app purchasing so that just the datasets are purchased and downloaded into app as required. This would provide a more efficient way of updating app and building a limitless array of destinational info. Yes... but I'm thinking that Ads would allow me to give the core for free... and user could select which Config file, for the Travel Zone needed (USA, UK, EU Schengen, Asia, Oceania, Central Am, So Am, Canada, etc). So I need the Ads part added to my App. Already has BT plugins: Menu, Map, Contact Us.. need Privacy statement and Ads, added! Hi bigPaul - Yes... but I'm thinking that Ads would allow me to give the core for free... and user could select which Config file, for the Travel Zone needed (USA, UK, EU Schengen, Asia, Oceania, Central Am, So Am, Canada, etc). So I need the Ads part added to my App. Already has BT plugins: Menu, Map, Contact Us.. need Privacy statement and Ads, added! I'd still be interested in knowing more about the cottage industry that you have in mind, when you get a moment.